Looking forward to a relaxing Sunday night this weekend, but want to do something good for the community too? Easy. 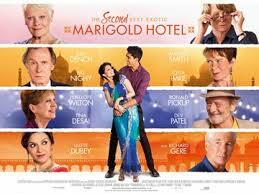 The Sandringham Lions Club are hosting a screening of The Second Best Exotic Marigold Hotel, the sequel to the 2012 box-office hit, to raise funds for newly established charity, Kids Like Us. Kids Like Us Australia offer support and advocacy for gifted students who have learning differences or challenges. Since February 2013, Kids Like Us has developed programs, trained staff, and provided counselling, learning support and advocacy services to students aged 4 to 23 years old.